JLab JBuds J4 earbuds are designed for maximum enjoyment and durability. JLab JBuds J4 earbuds are durable, flexible, and have very decent audio output. JLab JBuds J4 earbuds lived up to their promise of being durable and heavy duty. Although they weighed slightly more than most, this wasn't anything that we felt was detrimental to the product itself. JLab JBuds J4 earbuds are compatible with any device that has a standard 3.5mm audio jack. The earbuds fit snugly and comfortably. Durable and High-Quality… for any occasion. JLab JBuds J4 earbuds are advertised as being a type of earbud that balances audio quality and durability, and more than pulls through on its offer. The earbuds come in a variety of colors. 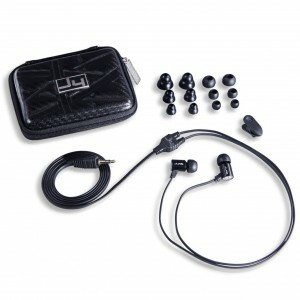 They also come with 7 custom molded earbud cushions, both single flange (XS, S, M, L) and double flange (XS/S, S/M, L/XL). Having the extra ear pieces can come in handy if you loose a set. They have not fallen off yet for me and seem to hold in place very well, better than many other brands. They are just a bit heavier in weight than most of their competitors, this also ensures that you'll be able to enjoy them for quite some time. The cables are also designed to be tangle-free and strengthened with Kevlar, along with the ability to reduce external noise at virtually any volume. The packaging is very basic. No shiny box or frills. The Jbuds J4 come with a hard shell caring case. The case is rather big for the size of the earbuds but that can be a pro as it will be hard to loose yet it will not easily fit into a tight pants pocket. The tangle free aspect of the cables is so nice. Most earphone cables quickly tangle, from our testing's we found the flexible cable on the J4 earphones very durable, flexible in design and hard to tangle when put directly into pocket. At the Gym on a tred mill I was able to run 1.5 miles with out the Jbuds J4 falling out once. A clip did come with the headphones and it did help to keep the cord in place while I was running. For the price tag of $40 bucks this really is a great buy and a product I would acquire again. I should note that I did wash the headphones once in a washing machine. They survived and I can not tell any degradation from the event. The SkullCandy 50/50 headphones come in many colors, have in-line volume control for the iPod and iPhone, as well as a mic. The SkullCandy 50/50 earbuds are are decent, the overall quality of the audio can leave a bit to be desired. Also, the earbuds may not be comfortable for every user. This is normal for any in-ear headphone set. This is not a noise canceling device. Onheadphones.com rate the 50/50 Skull Candy product line a strong buy for Iphone and Ipod users who want in-line Track Control, Volume Control and a Mic. SkullCandy knows how to sell a user not only on a product but on an experience. They put a ton of effort into the design and packaging of a product. The Skull Candy 50/50 earbuds come in several colors so you are sure to find a color that fits you. Visit the Skull Candy 50/50 page. The SkullCandy 50/50 earbuds come with a few different earpieces, which are designed for different ear shapes, some users may not find these to be comfortable. Myself I found that the small and mid range ear pieces fit well in my ears and after several hours of listening to music I experienced no discomfort. The SkullCandy 50/50 earbuds come in a variety of colors along with their own Nylon carrying case, which is an added bonus. The bass output was fairly decent, but the overall audio seemed a bit lacking. If you have an iPod or an iPhone, these will work well, as they are designed for the aforementioned products. Compared to other rivals, they are more expensive, but are of better quality. The SkullCandy 50/50 earbuds are aesthetically pleasing, their design and construction are conducive to durability and mid wear and tear. 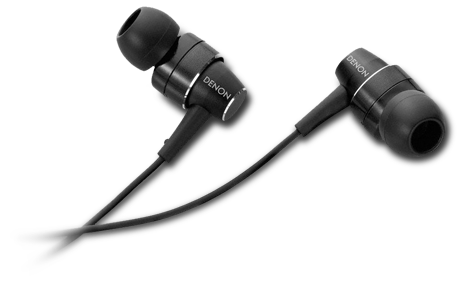 The bass output on the earbuds is something that users who like heavy bass will definitely appreciate, but generally, the audio quality is a tad bit mediocre. That's not to say that the earbuds aren't more durable than cheaper competitors, but they could still be improved on. The price is a bit more than a similar generic brands but that is normal when purchasing any name brand headphones. 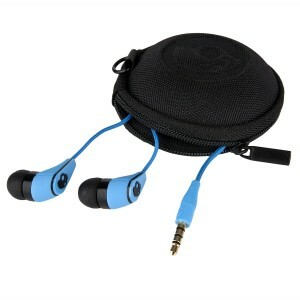 SkullCandy 50/50 earbuds are compatible with the Ipod and Iphone. It's nice being able to control sound right from the cord as well as answer calls a track control with out having to take out your phone. Comes in handy when moving around. If your in the market for Ipod/Iphone compatible earbuds we do recommend the SkullCandy 50/50 product line. Noise cancellation technology works as advertised. Crips highs. Punchy midrange and decent bass extension. Very easy to fold-up and take with you. Includes plug adapter for home stereo and airplanes. Not very expensive. Free shipping from Sony. Ear pads are not the most comfortable. Headphone fit is somewhat tight making long listening sessions painful. Major impedance swing with the power on/off. Sound quality is not as good as we would have expected from Sony. For $50, they represent an okay buy in the noise cancelling category. The build quality is good, but they were far too uncomfortable to be used on a long-flight, even if the noise cancellation technology works. Sennheiser and others make models worth trying as well. The MDR-NC6 do a good job blocking out external noise, but they hardly the most comfortable headphones we have ever tried. Is the world that noisy that we want to shut it off? I have had this discussion with people who swear by noise cancelling headphones, as I sit each morning and enjoy my morning coffee in a little café in Teaneck. I get the same responses from everyone; noisy children, obnoxious people on the train, rude people on airplanes, and overbearing relatives who cannot shut up at the dinner table. Not that I am advocating the use of headphones at the dinner table, because the moment I see an image of a family sitting at the dinner table enjoying dinner while wearing wireless cans, I am going to pack it all in and move to the hills. The dinner table is for political discord, self-deprecation, and being told that your haircut looks stupid. Ozzy can wait for later. Unless the discussion involves political donations to Ozzy’s presidential campaign. Noise cancelling headphones are for those moments in-between when you really need quiet to focus on what matters most; music, money, and making enough to afford nine nights at expensive spas in the desert. Sony offers a rather interesting collection of noise-cancelling headphones, with the MDR-NC6 as the entry-point. Built with Sony’s usual standards for style and durability, the MDR-NC6 are sturdy, and a good value for the asking price. They are easy to travel with thanks to their flat-folding design. The problem with these headphones is that they are so uncomfortable. The ear cushions did not sit properly on my ears and I found the headband to be quite tight on my head. If the targeted audience for these is travelers and commuters, they really need to work on the comfort issue. On a $50 pair of headphones, I would expect the level of comfort to be higher. The MDR-NC6 are designed to reduce ambient noise and create a quieter environment to enjoy music. They synthesize ambient sound with an anti-sound signal that is created by the noise cancelling circuitry, which in theory reduces ambient noise by 10 dB at 300Hz. The claim seems reasonable on paper, and I did notice an appreciable decrease in external noise while listening to them. 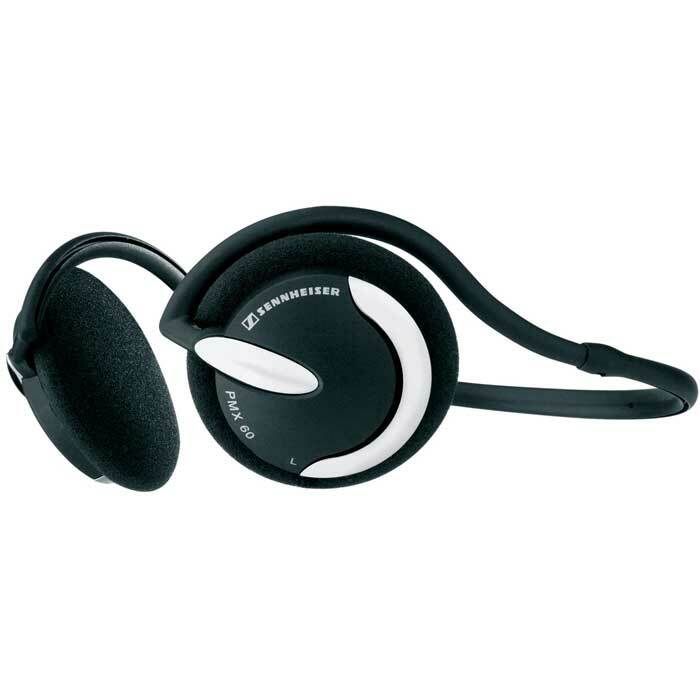 They also operate as passive headphones when the noise cancelling circuit is not activated. Are they going to drown out the little kid in 21A who is kicking the seat of the fortunately drunk schlep in 20A and screaming for some toy that his parents left behind in Jersey? The MDR-NC6 are not the last word in midrange purity, but I think that most people could deal with their overall sonic presentation. They try very hard not to offend, which makes their sins, ones of omission. The treble, while not the sweetest I have ever heard on a pair of headphones is not strident at all and airy enough to make most pop recordings sound quite good. Do they have the detail of the Grado SR60s? Not even close, but it is acceptable for a headphone in this price range. The bass response is good, but it lacks the grip to makes its visceral impact more impressive. The snap is missing. Overall, the MDR-NC6 does a solid job at noise-cancellation and are above average in the sound department. Some improvements to the headband and ear cushions would make them a far better headphone. The buds have crystal clear mids. There is an inline volume slider. The buds themselves do not actually penetrate the ear canal; instead, they nestle in your ears. The package says “powerful bass response.” That’s most definitely an exaggeration. The bass response is average, at best. It’s clean, just not powerful. Hands down, the MX500 earbuds deliver pristine sound. They’re very comfortable, non-intrusive and great for the gym or the beach. Since they use a foam surround instead of plastic or rubber, the MX500 will stick with you through sweaty situations (literally). Hands down, the MX500 earbuds deliver pristine sound. They’re very comfortable, non-intrusive and great for the gym or the beach. 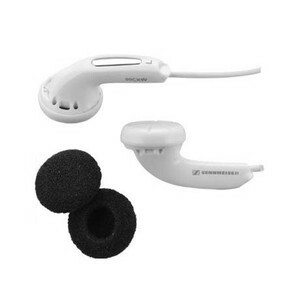 Sennheiser, who included a little case that automatically winds up and houses the MX500 earbuds. It keeps them in a plastic hard-shell case no bigger than the bottom of a soda can. Love it. Comfort is paramount when selecting earphones or earbuds. The MX500 pull ahead by design for two reasons. First, they do not penetrate your ear, they rest over the hole in your ear. Right…uh, you know the part you can stick your finger into? Well that’s where the Sennheiser MX500s hang out. It’s a lot better than jabbing a squishy thing into your ear canal. The second design advantage is the material that surrounds the actual earphone. It resembles a little foam condom. This comes in handy for sweaty situations, like when working out or sitting on the beach, where the rubber tip earphones are likely to become slimy and slip out. Fortunately, the MX500’s foam really grips onto the ear. There is also a disadvantage with the foam surround. After extended wear, the foam can start to agitate the skin, especially since it’s being pressed against it. My ears got fatigued and even had a burning sensation after a couple of hours. The first and most dominant feature of the MX500’s tonal sound is its midrange crispiness. Everything in the range of around 800Hz and up sounds impeccable. I wish I could say the same for the bottom end. Actually, Sennheiser boasts “powerful bass response” on the package. Maybe it’s a misprint. Maybe they’re being funny. Maybe Germany is caught in a perpetual state of Opposite Day. Either way, the bass could use a push. The low end is, however, tight and clear. Take these earbuds to Sade (someone I would never listen to on earbuds) and the bass is tight and intelligible, just not ballsy. The mids and highs are clear, and overall satisfying. 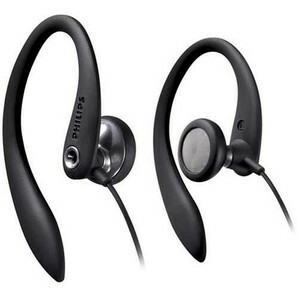 The Philips SHS3200-37 has an earclip that holds the earbud in your ear instead of on your ear. There is nothing flashy about its appearance. It is pretty simple and clean-cut. Just as earbuds tend to be, the Philips SHS3200/37 lack in bass production. It sounds thin and muddy even when EQ settings are applied to it. Mids and highs are rather clear, but bass lacks depth. The Philips SHS320-37 are very cheap in price, but you get what you pay for, or don’t get what you don’t pay for in this case. 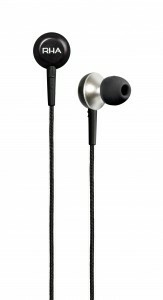 The Philips SHS320-37 are cheap earphones that perform like cheap earphones. Yeah, they have a pretty decent overall sound, but don’t expect the bass to be mind blowing or the fit to be the most comfortable. All in all, for a set of earphones to have while working out or doing some type of extracurricular activity these will do just fine, but for an audiophile-type experience it would be wise of you to pass. Great neckband design and sound quality for listening to music! With Sennheiser PMX-60 headphones, users get a dynamic device that fits a wide series of portable audio sources. The sound reproduction is suitable especially for listening to rock and pop music. Also, the frequency response is based on great technology, making the product extremely advantageous for the price it costs. Although the sound quality for listening to music is quite impressive, using the Sennheiser PMX 60 headset sometimes means experiencing sound leaking problems and poor sound isolation. More than that, the cord is quite short, not allowing enough freedom to users. 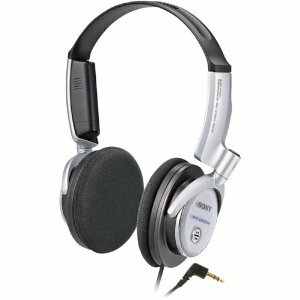 The Sennheiser PMX-60 headphones are preferred by many users instead of other similar products that are compatible with portable audio devices. The tests show good capacities when compared to the cost, making this product a compromise product that offers good standards for home users. Rock and pop music sounds better with Sennheiser PMX 60! While the Sennheiser PMX60 headset cannot be described as a professional device, the product offers good standards to its users. Its cord is quite little, but this is not necessarily a big issue as longer cords can be attached. The internal and external isolation feature could be improved as the listener can hear the surrounding noise and others can also hear the sound reproduced by the headphones. When it comes to the sound quality the Sennheiser PMX 60 headphones can be used when watching movies or playing games but without amazing sound effects being properly reproduced, as they are designed for music listeners. When it comes to the volume, louder sounds are possible, but it is not recommended for the deterioration of the headset to be avoided. 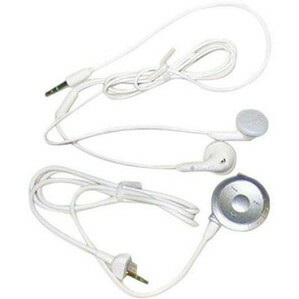 Some users have reported issues such as sound only coming into one earphone. TV must have the proper sound output jacks for proper use. If TV does not have the proper jacks for sound output then the optional microphone must be used near the TV speaker on low volume, and users have reported that this option can be noisy as the microphone picks up many different sounds. With Unisar Sounds TV Listener you can boost your TV experience to the maximum level while not disturbing other viewers. These wireless infrared headphones are designed with the hard of hearing in mind, giving them the ability to hear the television or radio at a high volume for their impaired hearing while others are able to enjoy the very same thing at their own level of volume. Not only that, but they come in quite handy for those night owls who have trouble falling asleep as early as most. For example, if your wife had fallen asleep much earlier then you, you can use these headphones to watch a bit of television without disturbing her. This of course allows both people to enjoy their respective actions with no impact on either or. Unisar Sounds TV listener is a handy companion for many different people, so why not give them a try?